“Particulate matter” (PM) is the general term used to describe solid particles and liquid droplets found in the air. The composition and size of these airborne particles and droplets vary. Some particles are large enough to be seen as dust or dirt, while others are so small they can only be seen using a powerful microscope. Two size ranges, known as PM10 and PM2.5, are widely monitored, both at major emissions sources and in ambient air. PM10 includes particles that have aerodynamic diameters less than or equal to 10 microns (μm), approximately equal to one-seventh the diameter of human hair. PM2.5 is the subset of PM10 particles that have aerodynamic diameters less than or equal to 2.5 μm. Particles within the two size ranges behave differently in the atmosphere. PM2.5, or fine particles, can remain airborne for long periods and travel hundreds of miles. Coarse particles, or the subset of PM10 that is larger than 2.5 μm, do not remain airborne as long and their spatial impact is typically limited because they tend to deposit on the ground downwind of emissions sources. Larger coarse particles are not readily transported across urban or broader areas because they are generally too large to remain suspended in air and they tend to be removed easily on contact with surfaces. In short, as the particle size increases, the amount of time the particles remain airborne decreases. The PM Concentrations indicator describes the various ways PM can harm human health and the environment. PM can be emitted directly or formed in the atmosphere. “Primary” particles are those released directly to the atmosphere. These include dust from roads and black and/or elemental carbon from combustion sources. In general, coarse PM is composed largely of primary particles. “Secondary” particles, on the other hand, are formed in the atmosphere from chemical reactions involving primary gaseous emissions. Thus, these particles can form at locations distant from the sources that release the precursor gases. Examples include sulfates formed from sulfur dioxide emissions from power plants and industrial facilities and nitrates formed from nitrogen oxides released from power plants, mobile sources, and other combustion sources. Unlike coarse PM, a much greater portion of fine PM (PM2.5) contains secondary particles. This indicator presents trends in annual average primary PM emissions data tracked by the National Emissions Inventory (NEI). The NEI tracks emissions data, both measured and estimated, for primary particles only and therefore may only be representative of a small fraction of all emissions that serve to form PM2.5. Because secondary particles are not released directly from stacks, the NEI instead tracks the precursors that contribute to formation of secondary particles. These precursors include nitrogen oxides, sulfur dioxide, ammonia, and other gases (e.g., particle-producing organic gases), some of which are addressed in separate indicators (the Nitrogen Oxides Emissions indicator; the Sulfur Dioxide Emissions indicator). As noted above, particles formed through secondary processes are not included in this indicator. Primary emissions of PM can exist as solid or liquid matter (the “filterable” portion) or as gases (the “condensable” portion). Data for the condensable portion exist only for the years 1999 to 2011. To allow for a valid comparison of emissions trends from 1990 to 2011, only data for the filterable portion of PM10 and PM2.5 are included in the trend graphs. Condensables are, however, included in the pie charts shown in Exhibits 2 and 5. All emissions data presented in this indicator are taken from the NEI. Primary particulate emissions data are presented for the traditionally inventoried anthropogenic source categories: (1) “Fuel combustion,” which includes emissions from coal-, gas-, and oil-fired power plants and industrial, commercial, and institutional sources, as well as residential heaters and boilers; (2) “Other industrial processes,” which includes chemical production, petroleum refining, metals production, and processes other than fuel combustion; (3) “On-road vehicles,” which includes cars, trucks, buses, and motorcycles; and (4) “Nonroad vehicles and engines,” such as farm and construction equipment, lawnmowers, chainsaws, boats, ships, snowmobiles, and aircraft. For 2011 only, this indicator includes a comparison of these anthropogenic sources with emissions from miscellaneous and other sources, such as agriculture and forestry, wildfires and managed burning, and fugitive dust from paved and unpaved roads. The NEI also documents estimates of primary emissions from fugitive dust and miscellaneous sources. The NEI is a composite of data from many different sources, with PM data coming primarily from EPA models as well as from state, tribal, and local air quality management agencies. Different data sources use different data collection methods, and many of the emissions data are based on estimates rather than actual measurements. For mobile sources, the data are based on mobile source models for on-road and nonroad vehicles, often using state-supplied model inputs (U.S. EPA, 2015). Emissions from wildfires in 2011 come primarily from an estimation process that bases fire activity and location on satellite detection (U.S. EPA, 2015). For most fuel combustion sources and industrial sources, emissions are from the state, local, and tribal air quality management agencies and are estimated using emission factors. Estimated primary PM10 emissions from anthropogenic sources decreased 40 percent nationally between 1990 and 2011 (Exhibit 1). Of these sources, those in the fuel combustion category saw the largest absolute and relative decrease in emissions (797,000 tons; 67 percent). Primary PM10 emissions from the group of sources including miscellaneous and natural sources and fugitive dust were estimated to account for 84 percent of total primary PM10 emissions (including condensables from stationary and mobile sources) in 2011, the majority of which was attributable to fugitive dust from roads (Exhibit 2). Changes in estimated primary anthropogenic PM10 emissions from 1990 to 2011 varied widely among EPA Regions (Exhibit 3), with decreasing emissions over this time frame observed in nine Regions and an increase observed in Region 9. Estimated primary PM2.5 emissions from anthropogenic sources decreased 53 percent nationally between 1990 and 2011 (Exhibit 4). The largest absolute and relative decline in PM2.5 was seen in the fuel combustion source category (652,000 tons; 72 percent). Primary emissions from the group of sources including miscellaneous and natural sources and fugitive dust were estimated to account for 60 percent of the total PM2.5 emissions (including condensables from stationary and mobile sources) nationally in 2011 (Exhibit 5). Primary anthropogenic PM2.5 emissions decreased in all ten EPA Regions from 1990 to 2011, with percent reductions ranging from 33 percent (Region 4) to 82 percent (Region 1) (Exhibit 6). PM emissions estimates through the NEI are provided only for the triennial NEI years starting with 1990 and continuing through 2011, with the exception of 1993. Because the emissions indicators focus on sources of anthropogenic origin, PM emissions from miscellaneous sources (e.g., wildfires) are not included in the trend line. Details on emissions from these sources can be found by downloading 2011 NEI inventory data for the “nonpoint sector” (https://www.epa.gov/air-emissions-inventories/2011-national-emissions-inventory-nei-data). The emissions data for PM are largely based on estimates that employ emission factors generated from empirical and engineering studies, rather than on actual measurements of PM emissions. Although these estimates are generated using well-established approaches, including extensively reviewed mobile source models, the estimates have uncertainties inherent in the emission factors and emissions models used to represent sources for which emissions have not been directly measured. The indicator tracks primary PM emissions. Particles that form in the air through secondary processes are not included in this indicator, but are considered in the PM Concentrations indicator. Summary data in this indicator were provided by EPA’s Office of Air Quality Planning and Standards, based on biogenic and anthropogenic particulate matter emissions data in the NEI. 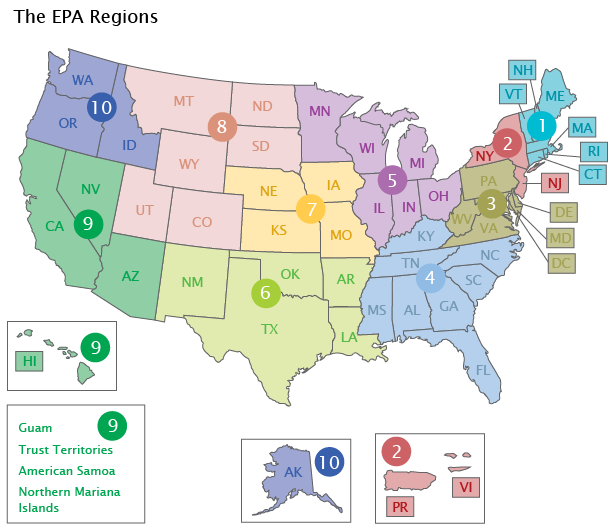 The most recent data are taken from Version 1 of the 2011 NEI (U.S. EPA, 2014). These and earlier emissions data can be accessed from EPA’s emission inventory website (http://www3.epa.gov/ttn/chief/eiinformation.html). The MOVES data used for 2002 and 2005 are not available through the 2002 and 2005 NEI website. This indicator aggregates NEI data by source type (anthropogenic or biogenic), source category, and EPA Region.